Ladies short sleeve dress by Rival. 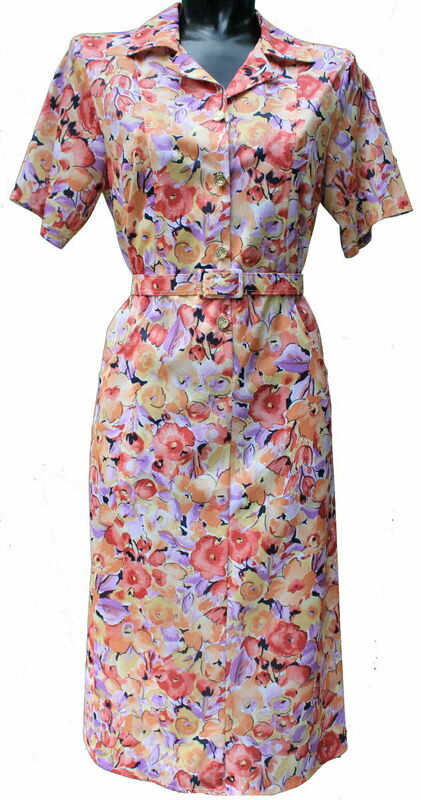 Orange & Lilac floral 41"
Short length. 41" back of collar to hem. Powered by ShopFactory to sell P436 online. All-in one eCommerce and online shopping cart software.